It is going to be a good one. At least on this blog. So far I am knee deep in great projects for 2012. For example. 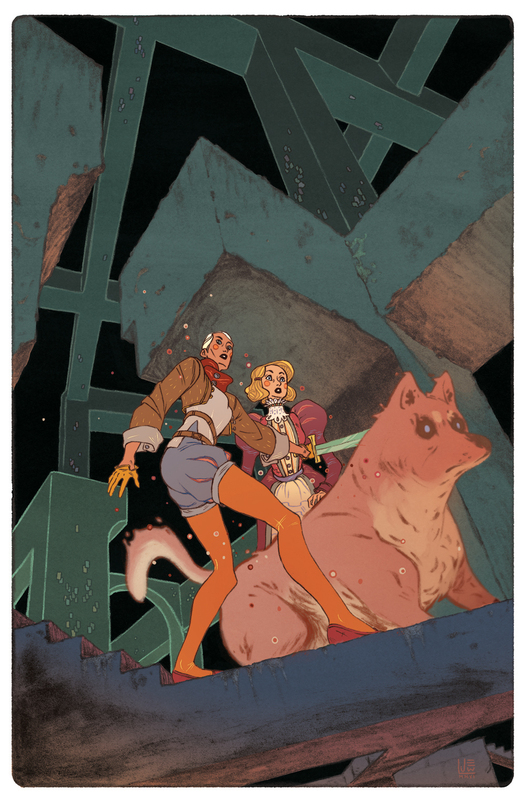 Here's a pin-up I did for the second volume of SPERA. I believe the first volume is now on sale. If I were you, I would check it out. It was made by talented people, and I'm beyond pleased that I got to toss some art onto it. Here's a detail of those pretty pretty princesses. Enjoy your freshly minted new year. Yay! 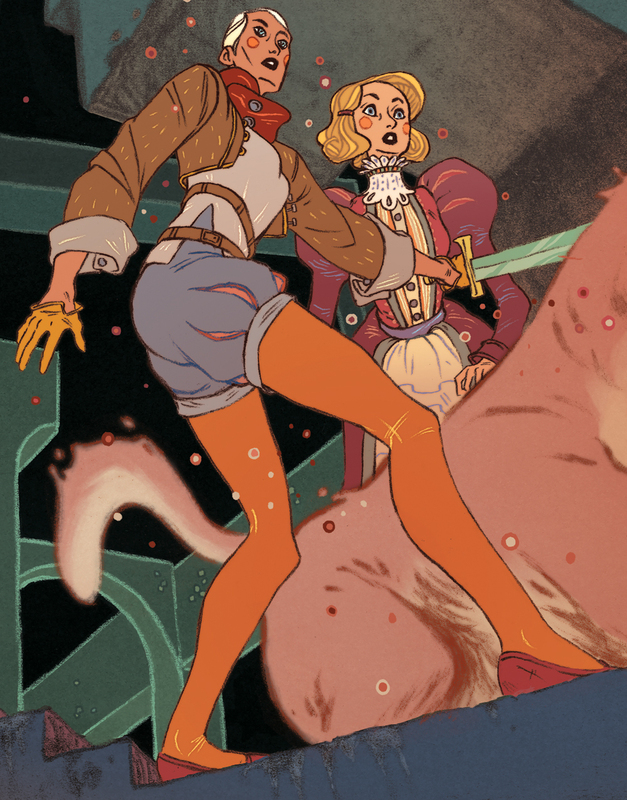 Some Jake Wyatt art! You sir are Top-notch at drawing ladies. Seriously, the best. love the perspective and style! Wow, love this! The angle are colors wicked! The bluriness mixed with the clarity rocks. Oh lord, the architecture in this gives me all sorts of tingly feelings.